…and to acknowledge that since the recent transition to a new corporate owner, we have had our hands full rebooting the business, including work to re-engage with all our publishing partners. We appreciate your patience and are focused on ensuring the Game Service remains up and running, and on continuing to provide the best cloud gaming experience available! Thanks again for all your support. OnLive is now actually selling two editions of the game. In the US you can get the Sleeping Dogs - Digital Edition for $49.99 ($34.99 PlayPack). The Sleeping Dogs - Digital Edition includes the base game as well as the Sleeping Dogs - Triad Enforcer Pack add-on. In the UK and Belgium you can get the Sleeping Dogs - Limited Edition. It costs £29.99 in the UK (£20.99 PlayPack) and €49.99 in Belgium (€34.99 PlayPack). 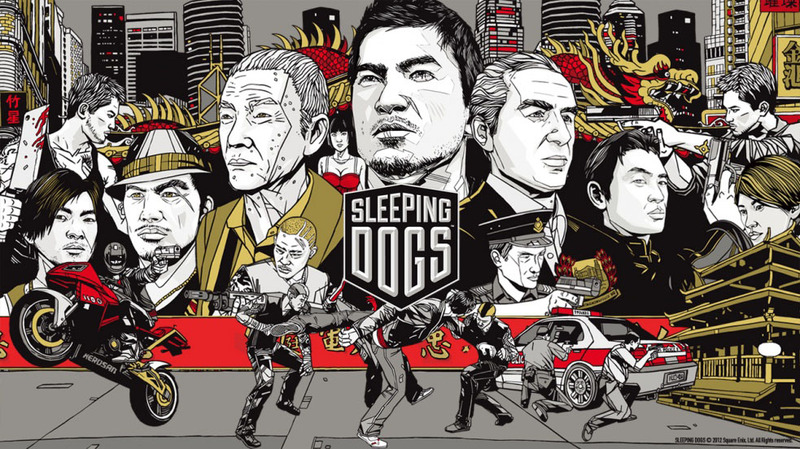 The Sleeping Dogs - Limited Edition includes the base game as well as the Sleeping Dogs - GSP Pack (Belgium) and the Sleeping Dogs - Police Protection Pack (Belgium) add-ons. It's a high-speed shoot out in 'Triad Highway.' Armed with a high capacity machine gun, fight a tide of Triads after your head. 'Death by 1,000 Cuts' puts you in a brutal fight club taking on the Triads with a razor sharp golden cleaver. Wear the Triad Enforcer outfit for added Face and more punishing damage. Dress like Mixed Martial Arts champion Georges St-Pierre (GSP) with this collection of shorts, t-shirts and bandana, and devastate your enemies with GSP's signature flying punch. The GSP outfit unlocks GSP's signature Flying Punch as well as unlocks increased grappling and throwing damage. The "High Speed" Mission lets you join the Hong Kong Police Department SWAT Unit in an all out street war with the Triads. Swerve through traffic, explosions and gun fire as you chase down your targets in an exclusive Swat Police Car. With The Police Protection Pack Assault Rifle you can take your enemies out with either a single shot or a spray of bullets. You can buy the Sleeping Dogs - Digital Edition for the US powered by OnLive. You can buy the Sleeping Dogs - Limited Edition for the UK powered by OnLive. You can buy the Sleeping Dogs - Limited Edition for Belgium powered by OnLive.